While most women in the city are under the care of a specialist Obstetrician and midwives during their pregnancy, Australian women living in rural communities rely on midwives for normal births and GPs with advanced obstetric skills (Rural Generalist - GP Obstetricians) to provide backup and operative emergency care for birthing complications. It is therefore essential that they are equipped with contemporary knowledge and the necessary skills required to manage a number of situations they may face during care of a obstetric patient. This one day workshop will use a variety of teaching methods such as small group case discussions, procedural skills stations and interactive lectures covering a range of topics for rural procedural obstetrics. 1. Identify and explain available methods, and the states regulation and requirements, for termination of pregnancy. 2. Utilise latest guidelines and treatment targets for gestational diabetes. 3. Assess and determine the best management for a range of antenatal emergencies. Dr John Hall. John is a Rural Generalist GP Obstetrician, currently based in Toowoomba on the Darling Downs in QLD. He has been teaching emergency obstetrics and emergency courses with Health workforce QLD for over 10 years. He is a senior lecturer in Rural Medicine based at the UQ Rural Clinical School, in Toowoomba. He has a passion for teaching and rural health policy. He is the current President-elect of the Rural Doctors Association of Australia. Dr Jared Watts is a staff specialist Obstetrician working at Broome Hospital in the Kimberly WA. He works alongside GP Obstetricians every day in a collaborative model to service the Broome and the Kimberly catchment. He is a member of the RDAA Rural Specialist Group (RSG) and is a strong advocate for specialists and generalists in rural practice. Jared brings years of specialty experience to the course and will provide demonstrations and instruction on the complex areas of obstetric emergency care. Did you know you can apply for a bursary to attend our CPD Workshops? 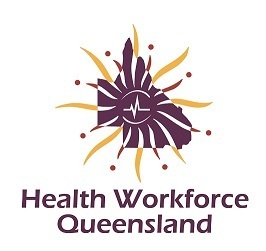 Before you register, find out more about the Health Workforce Scholarship Program.